Maybe this will encourage small press/epubs to get their galleys out sooner. For sci-fi romance, this could represent an opportunity to build buzz much earlier for forthcoming releases (as is the case with print books, which often have an edge in this regard). 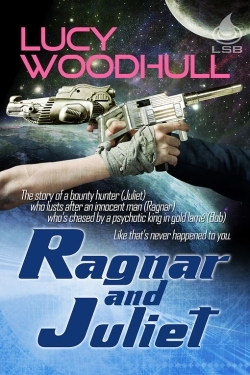 Lucy Woodhull’s RAGNAR AND JULIET is now out. The author is showcasing her TEAM AMERICA-inspired book video at SFR Brigade, so check it out (by the way, I’m a huge TEAM AMERICA fan, so there’s double incentive for you!). At Romance Writer’s Revenge, author Enid Wilson is giving away a digital copy of EVERY SAVAGE CAN REPRODUCE. Surprisingly, even Captain Jack Sparrow is a fan of sci-fi romance! Finally, Functional Nerds recently featured a podcast with Lisa Paitz Spindler, author of THE SPIRAL PATH.